Want to feel like a true blue, fair dinkum Aussie? 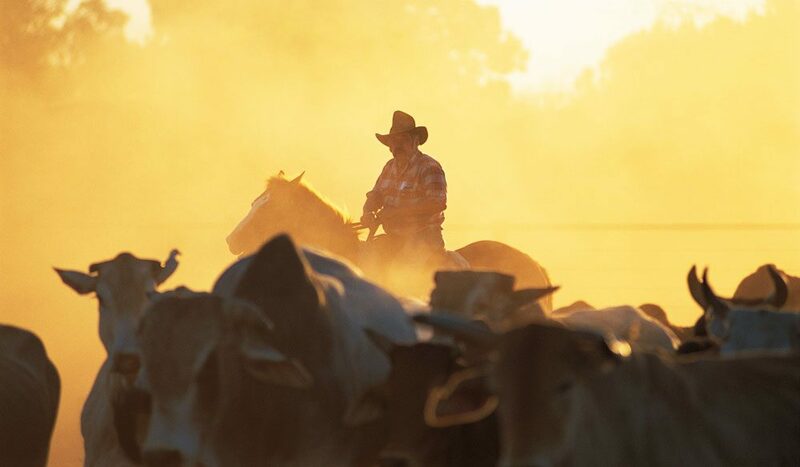 Properly dressed (Akubra, Drizabone), with a sturdy beast underneath, you head to the mountains to muster cattle. As darkness falls, you gather around the campfire and tuck into a hearty meal. It’s difficult to get more Aussie than this, or indeed spend such a rewarding day. Several working cattle stations around the nation now offer city slickers the opportunity to get out on the range, learn natural horsemanship, and in effect step back 100 years to a time when the six o’clock news was to be heard around the campfire. Other obvious benefits include spending time riding through Australia’s spectacular high country. Natural Horsemanship (or Horse Whispering as it’s known in some places) is a link between the minds of horse and human. The method eventually allows people to ride horses without saddle, bridle or any other restraint – just using hands, feet and the mind.